Here is the list of common reasons and best solutions that can combat overheating on your Android phone. 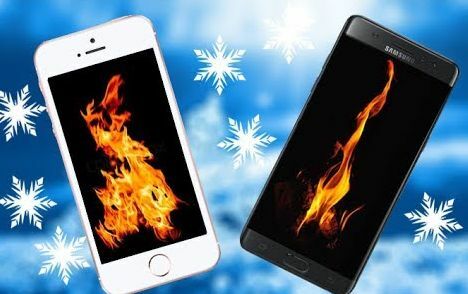 If you take care of all the issues that causes over heating of your Android device and that will avoid that cause and will avoid damage caused by it. Android is the device where we keep on performing lots of tasks and due to multi-tasking, sometimes Android gets overheated. Overclocking the CPU speed much can result in overheating your device and also this process can even damage your processor permanently. So it’s better to know about the things that make your Android overheat and to overcome this. Have a look at all the reasons that can cause the overheating of your Android and you can take care of all these reasons and avoid the damage to your device. So have a look at all possible reasons. Have you ever read the manual that comes with your phone? Every phone manufacturing company always mentioned that don’t use duplicate chargers because it may damage your phone’s battery. The battery is the main reason why our phone overheats. Therefore make sure to use the original charger that comes with your phone. Well, WiFi itself doesn’t make your smartphone to overheat. However, it was the apps that get triggered on the background whenever your smartphone connects to a WiFi network. So, make sure to check all the background updates whenever your phone connects to a WiFi network. Bluetooth and GPS continuously scan for available networks in the background. If you are running Android games and the Bluetooth, GPS feature of your smartphone is enabled, then it can cause your phone to overheat. Therefore, make sure you turn off the Bluetooth & GPS if you don’t need them. The apps and things carried out on your phone are the things same as in your life. They can pile up with time and sometimes overwhelmed. If your Android is getting hot in regular basis then there are high chances your phone have an app that it can’t handle. Nowadays, Android phones are the best, no doubt. It provides you the abundance of features as you can play games, watch videos and movies, Listening music, click the pictures, searching the web, gain knowledge through search engines. However, you need to look for the apps that might be running in the background without your wish. So, better is to look for the tasks running in the background and close all the unnecessary apps. Well, we have a habit to blame our Android device for heating up. However, we forget to check our usage habits. Smartphones are powerful, but they are not made for continuous use, unlike gaming consoles or PCs. Nowadays, we use phones more than computers. Our phone doesn’t have any cooling system like we have in our computers. Therefore, we should stop overusing our Android smartphone. Watching videos and movies is another one fact that might be causing your phone to overheat. We usually, spend our time watching movies in our Android device while traveling. This requires more work from your phone processor which consumes not only the power but also overheats too. Especially in the case when we want a clearer picture like a High definition, we combine the load of playing video with the load of data connection over a long period of time that cause our smartphones to overheat. Your Android play store provides you the variety of entertaining games and applications are created and discovered every day. Some of the games and applications consume more processing power than others depending on the complexity of the app and when you combine these two, then they start heating up. Games nowadays not only require high RAM and better processor it also needs the data connection. That’s the another major reason why our phone overheats while playing games. Therefore, if you want to play heavy games on your Android make sure you have cleared the background tasks. Well, if you are facing overheating issue just after putting up a new case, then you should take a look at the material used in the case. Insulator material like plastic or leather can keep the heat inside and cold outside which leads to overheating. So, if you feel that your Phone’s case might be the reason behind the overheat, then remove the case of the phone and use it to see if it still gets hot. The main fact if your phone getting hot then it is possible that your battery is old or malfunctioning. You must replace it as early as possible. If you had it for less than a year, then you must do free replacement battery by having the warranty claim. You can carry out the battery from your phone to check whether it’s expanded or swollen or twisted. If it doesn’t fit in the space given on your phone, then it is defective and needs to be replaced. Let’s have a daily life example when you are walking in the cold region and the cold wind is blowing and you didn’t have gloves to wear, then you usually put your hands in the pocket to get warm. Similarly, every smartphone need some ventilation. If your phone seems overheating when it is in your pocket, then carry out from your pocket and let it have some ventilation. Keep it in your nice cozy pockets so that it can breathe a little bit and gets cool. Usually, all of us listen to the songs while taking shower. Overheating and power issues problem occurs mostly with water experience. Locate the LDI (Liquid Damage Indicator) sticker on your phone to make sure that your phone is not experiencing any problem related to moisture or liquid damage. Consider the case of human body, our body needs rest after lots of work carried out in a day. Same in the case of your smartphone. Have you kept your phone to rest for few seconds? Does your phone remains on continuously and you plugged your charger all night? It too needs the little time to take rest. Therefore, restarting the device not only makes your Android device to work more efficient. It will also extend your battery life. We are not talking about unknown WiFi networks which pose security threats. However, if you have a WiFi connection at home or at the workplace, then make sure to use that over mobile internet. If you are using Mobile internet for surfing the web, or playing games, then your smartphone might heat up rather quick compared to WiFi networks. Since our device continuously scans for mobile networks in the background, it’s normal for your phone to heat up. Therefore, make sure to use WiFi wherever possible and avoid mobile internet. Just take a look at your battery usage, you will find that 40% of your device’s battery is consumed by the screen. The display is the most important thing in our smartphone and it consumes lots of battery power. So, if your’s phone’s brightness is always kept to the maximum, then its quite normal for your phone to heat up. Therefore, make sure to dim your screen brightness or turn on the ‘Auto Brightness’ if possible. This will fix the overheating issues as well as the battery drainage. Apps like YouTube, Messenger consumes lots of storage space and battery power. However, almost all apps from Google has its lightweight variant published on the Google Play Store. You can use the lightweight version of the popular apps to maximize your device’s performance. Not just that, but lightweight apps require very less space to install and they run well even on 2G internet connection. It is the professional temperature monitoring and controlling app that detects and closes heavy resource consuming apps to reduce CPU usage and lower phone temperature. It has Real-time temperature monitoring and dynamic overheating detection that will help you maintain your phone’s temperature to a normal level. One of the professional Android phone app that overcomes the common heating problem of smartphones. The professional temperature monitoring and controlling apps like Device Cooler detects and closes heavy resource consuming apps to reduce CPU usage and cool down your device. Cooling Master – Phone Cooler is a Professional temperature monitoring and controlling app that reduces your CPU usage and cools down your phone. Cooler Master helps to detect the temperature and control the use of additional Apps that produce heat and make your phone slow. Coolify is a gorgeous app that handles a very specific duty – keeping your device temperature normal – with minimum user input. Yes, it’s another one of those one-click optimization apps, the ones that knowledgeable users usually approach with a skeptic “does it even work” mentality.